Since his first vessel in 1949, the 36-foot wooden lugger tug, Betty Lou, Minor Cheramie quickly grew his fleet to 7 vessels in his first 7 years of operation. 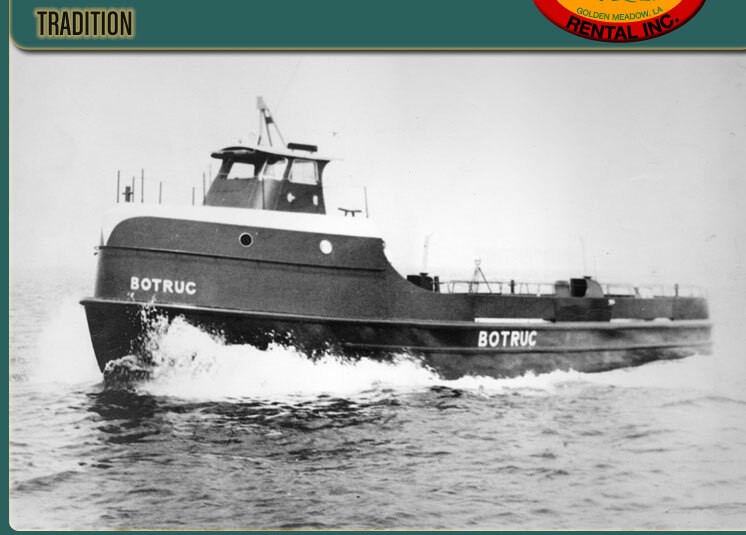 In 1956, the first Botruc was built by Blount Shipbuilders in Rhode Island. These vessels were among the first of the cabin-forward steel constructed offshore supply vessels ever built. Adapting East Coast design to Gulf Coast needs with Cajun ingenuity, Cheramie brought the “pickup truck” of the oilfield to the waters of the Gulf of Mexico, offering a multi-purpose hauler to the growing offshore oil and gas industry. Since then, the company, now in it’s third generation of owners, has thrived. It currently operates a fleet of 14 vessels with a deep commitment to superior customer service and to valued, long-standing relationships with its many clients. It is because of this commitment that L&M has begun a new build program to service the growing needs of their clients in the deepwater oil and gas industry worldwide. An ongoing preventative maintenance program is facilitated by experts in the field, keeping the vessels in excellent working condition, minimizing downtime and earning the company a worldwide reputation as a leader in the offshore marine transportation industry. Each vessel in the L&M BoTruc fleet is uniquely designed for versatility, dependability and maximum service. L&M BoTruc operates successfully because its heritage is based on outstanding service and dedication to its customers, vendors and employees. © 2010 L&M Botruc Rental Inc. All Rights Reserved.